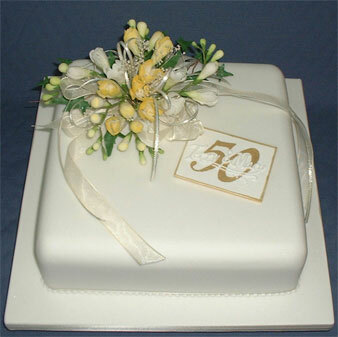 Louise produces stunning creations for any special event. 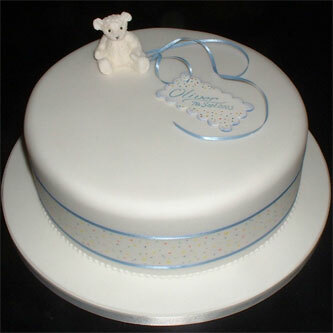 Christening or company celebration, you can have a personally designed centre-piece to wow your guests. Each project is individual, taking into account any ideas you may have. Lou develops designs from objects, pictures, photographs or other reference - let your imagination run wild! Designs can be carefully drawn for you to see and then transformed into a masterpiece. Lou also makes modelled pieces for you to add to your own home baked cake. 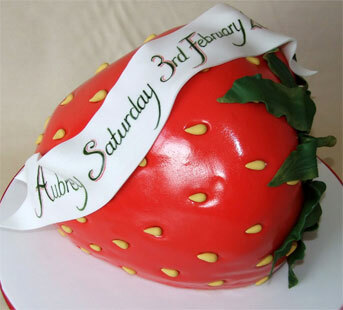 The final creation can be collected or delivered to a wide area locally. This website shows a selection of Lou's creations illustrating the diversity of design from the more traditional, to all sorts of seasonal and corporate cakes and modelled pieces - the sky’s the limit - and this website is just the beginning! Who would expect a strawberry! From a nickname, Lou has designed a very original christening cake. 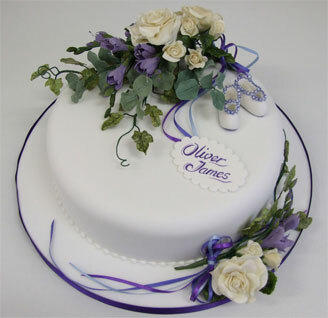 Flowers can adorn a special christening or anniversary cake with a colour scheme to suit your event. 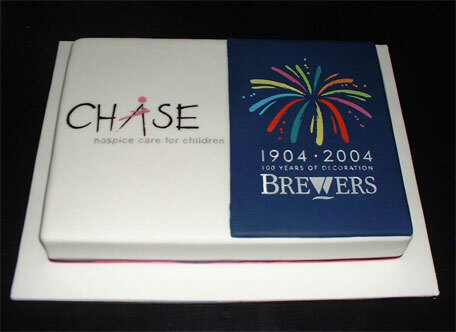 Celebrating the many years of close collaboration between Brewers and Chase Hospice for Children. 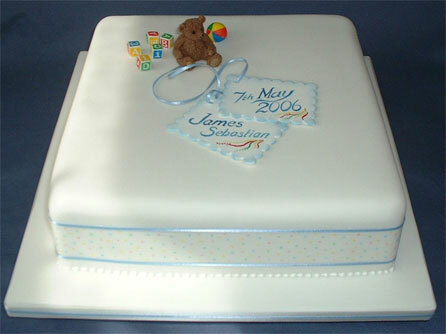 Baby's favourite teddy and other toys make lovely details for a christening cake and can be kept as a momento. Golden wonder for a golden anniversary. 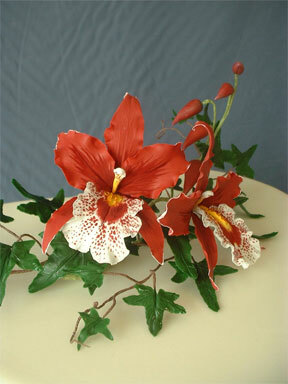 The sugar flower bouquet and sugar gift tag can be treasured for years to come. Simple yet elegant. A fluffy white teddy with delicate ribbon and multi-coloured dot detail to complete the picture. 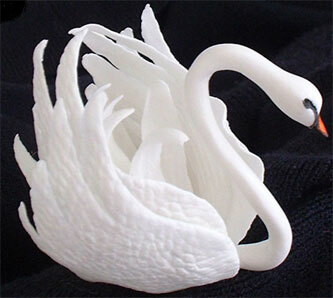 Elegant swans can grace any cake! Beautiful for a christening - how about some cygnets!